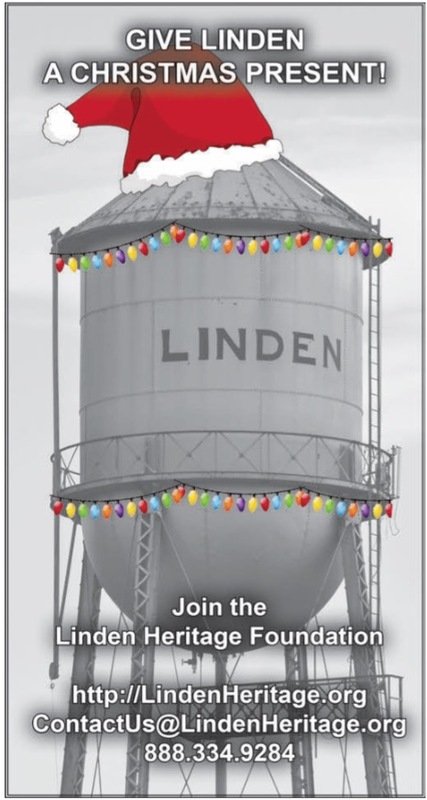 Would you like to see real Christmas lights on Linden’s Historic Water Tower in the future? If so, follow the instructions in this ad from the Cass County Sun, the oldest business in Cass County (established in 1876). For information on membership in the Linden Heritage Foundation, either by check or by online payment, click this membership link. I would like to have lights on the older water tower to be lit up for the Christmas season. All cars leading in to Linden would be able to see the water tower and would be a pretty sight to see. It is definitely a unique landmark in Linden. I am very happy to be a charter member of the Linden Heritage Foundation and look forward to seeing great things happen in the near future in my home town. I really like the picture of the street light and the vintage water tower. Would really like to have that on postcards or stationary in the future. Very nice picture. Beverly Ayers Ashwood, The Colony, TX. Beverly, we agree with you completely! Thank your for your enthusiastic support of the Foundation. Happy holidays!